I remember a few years ago, when Twitter first started to become a thing among bloggers, there was a lot of discussion about whether it was replacing blogging or whether it was merely a complementary form of communication. I've certainly seen some bloggers "disappear" onto Twitter in my time. However, regardless of whether one thinks that Twitter contributes to the death of old-school blogging or not, it seems to have become pretty widely accepted that having a Twitter account for your blog is a thing, even if you only use it to promote your blog posts. Personally I held out for quite a while without one, but by now more than two and a half years have passed since I created my own. These days I see very few holdouts that blog without having a Twitter account as well. I've come to accept it, but I have to admit that Twitter still hasn't grown on me. It's just too chaotic, which is why I can't bear to look at my Twitter feed for any length of time. Random cat pictures are mixed with real life announcements and gaming achievements, and it's just too hard to follow any kind of narrative. I guess I could see how it might be entertaining to look at on your smartphone during your commute on the train or something like that, but I don't have a smartphone and when I'm at my desktop, with the option to play a proper game or blog, Twitter just feels like a waste of time most of the time. I'm not even sure it's that great for blog promotion to be honest. I can see that I get a fair amount of traffic from it, but I'm not sure how "valuable" those clicks are. What I mean is that there have been times when I've posted the link to a new blog post on Twitter and got people replying to just the headline, blatantly showing that they hadn't bothered to read the actual post. That kind of thing is a bit disappointing. Sometimes genuine readers also decide to reply to the post via Twitter instead of via the comment section, which always makes me a little sad because it limits discussion, and unlike the comments on the blog post, which are stored with the post for as long as the blog exists, Twitter responses tend to disappear into the aether and are hard to track down later on. Still, there are some perks to using Twitter as a blogger. Sometimes when I'm having a moment that makes me feel like shouting out into the world, without having enough to say to make a blog post out of it, Twitter does the job quite nicely. That moment when you pull the mods out of an item to do a legacy transfer, and accidentally end up putting them back into the same item. Also, while I find that you can't communicate very effectively via Twitter, it is great for simply connecting to other people. The #SWTORFamily hashtag is a great example. Whenever I find a great blog post somewhere else, it's nice to be able to share it around by re-tweeting, even if I don't have anything else to add. 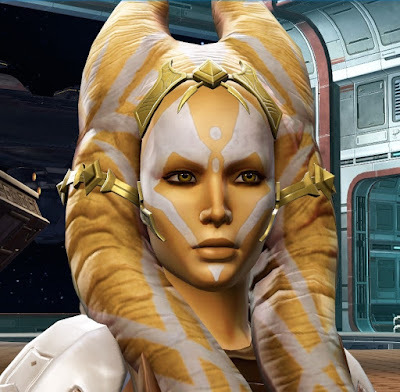 Twitter is also a great source of SWTOR community news... such as that Njessi of Hawtpants of the Old Republic is back in game, woo! In other news... YouTube! I can't believe it's been over a year since I last posted a video here! I still enjoy making them but have been somewhat starved for time since I started working full time, and video-making can be quite time consuming, even if the result is very basic. However, until very recently I also had an even more pressing problem: lack of disk space. I had to give up creating videos of our operations boss kills because every couple of attempts my hard drive would be full and I'd have to go delete things again or stop recording... but you never know which attempt is going to be the succesful one! It just didn't work. Fortunately this has been resolved with a new disk which is currently solely dedicated to Fraps and lets me record things to my heart's content again. It's just a shame that I can't promote them more because YouTube broke Blogger's YouTube sidebar widget some time ago. You can still see the newest videos by going through the Google+ page on the sidebar or straight to the channel page, but of course updates are not as prominent there as they were on the widget. Here's our latest "new" boss kill, featuring some eighties rock! Surely you can't go wrong with that? But the new species was definitely the thing that got me personally the most excited. And I'm not even that crazy about the Togruta. The most prominent in-game Togruta characters that I can think of off the top of my head are the inquisitor companion Ashara Zavros, and Master Bela Kiwiiks from the Jedi knight class story. 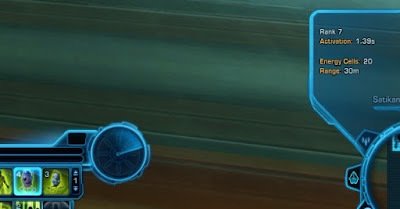 However, fans of the Clone Wars series were clearly excited to be able to make their own versions of Ahsoka Tano. Me? I just like playing with the character creator and rolling new alts, even if I'm not sure I'll keep playing them. 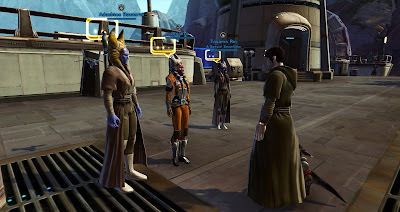 Can you believe it's been over two years since we got the Cathar? Then again, while that's a reasonably long time, it doesn't really feel unusually long to someone like me who started in World of Warcraft. After all, Blizzard also tends to release new races only every other expansion or so. However, I do like the way Bioware seems to be saving its new species for "filler patches" so far, which means that they come out at what's pretty much the perfect time to roll an alt. 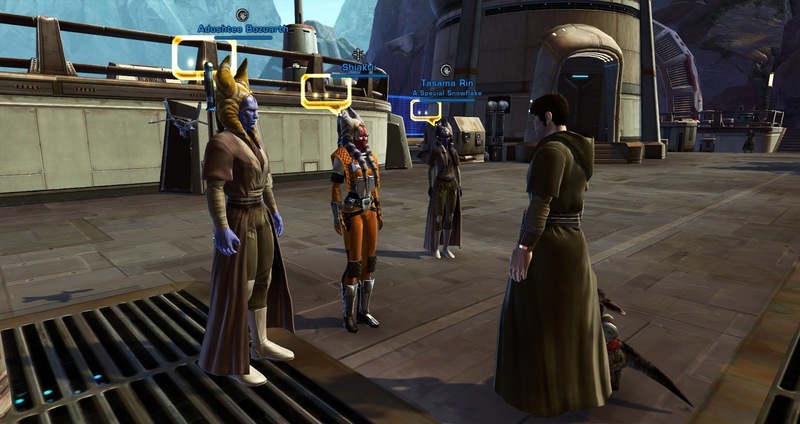 I was curious to see how closely the new Togruta player characters would resemble the existing NPCs in the game. After all, with the Cathar it was a bit of a surprise how different the options in the character creator looked from the non-player characters we'd come to know and love, and that there wasn't a way to recreate your favourite NPC as an alt. As it turns out, the Togruta deviate a lot less in that regard, though Bioware still hasn't given us the means to copy certain NPC looks. For example I couldn't find the option to have a facial pattern exactly like Ashara's or to have perfectly straight rings on the montrals (the horn/tentacle things) the way certain characters have them. However, the one major difference I noticed was that the top montrals on the male Togruta are oddly short and stumpy compared to what we're used to. I wonder why. My little yellow Togruta is a knight, so I was roaming around Tython last night, along with dozens of other Togruta. It was actually startling to see a character that was of a different species. 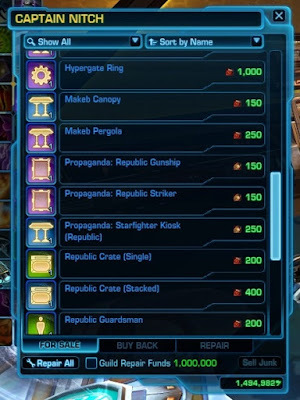 People were joking in general chat about how so many players complain about not wanting to give Bioware any money, yet a new species that cost Cartel Coins was immediately all over the place. Apparently things were similarly crazy at the Sith Academy on Korriban. Did you join the craze as well? Either way: Happy Togruta Day(s) to all! 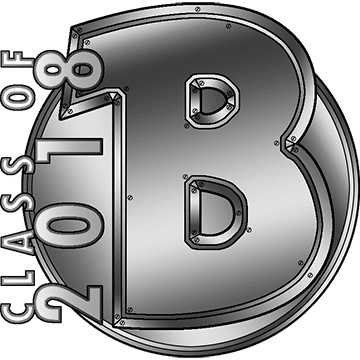 Gamers Decrypted is a relatively new blog, but already very prolific (partially because it has multiple writers contributing to it). While PvPing this past weekend, I was reminded of this highly amusing post of theirs in which the author muses about the way people call the two sides in Alderaan Civil War "grass" and "snow". I remember when I first started PvPing in SWTOR, I always used cardinal directions when making calls, e.g. "2 east". But it didn't feel like I was having much success with it, and everyone else seemed to prefer calling things by some different designation. 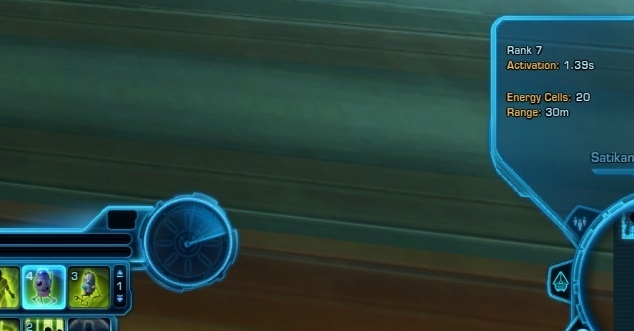 I eventually decided to go with the flow and adjust my calling habits, but I still don't know what SWTOR players have against the compass. First there is the aforementioned Alderaan Civil War with its grass and snow sides. To this day, I don't like this way of telling the sides apart, for two reasons. Firstly, there is snow on both sides. One has less, but if you don't know the look of both sides very well, it can be confusing. Second: If you're in the middle, you can't actually see which side is which without running very close to the side to peek over the edge - and if you happen to choose the wrong side because you can't remember whether grass is east or west, you just wasted a lot of time while trying to come to your team mates' aid. Huttball is, thankfully, mostly free of directional calls, since there is only one objective and its position is always highlighted by a giant pillar of light. People might say "up" to encourage someone to pass upwards, or "wrong way" if someone gets turned around and tries to carry the ball back to their own goal line, but those are fairly unambiguous. Voidstar, the last of the original three warzones, is another fairly confusing one. This one even explicitly refers to the door objectives as east and west (or north in the last room) when bombs get planted, but people insist on calling them left and right. I found this highly confusing when I was new to the game, because what's our point of reference? The map? The way our characters face when we respawn? Over time I learned that it's the latter, which solves some of the confusion, but not all of it. After all, changing between offense and defense means that you're suddenly facing the other way, so right becomes left and left becomes right. All clear? Is that the left or the right door? Depends on whether I'm attacking or defending! Novare Coast is the only warzone I can think of where people prefer to refer to two of the nodes as east and west. (South tends to be "mid".) I don't know what makes this warzone different, especially as this one would leave no ambiguity about the question of which node is left and which one is right... if you did want to call them left and right, that is. But for some reason east and west is fine this once. Ancient Hypergates is another confusing one because once again people don't like saying east or west, but for some reason left and right are not popular here either. There is no unique terrain that can be used to identify the different sides, so people just... don't call them anything remotely useful at all. Pylons get designated as "ours" and "theirs" based on ownership, with each team habitually going left (clockwise) from its spawn point at the start. (GD has a post about this mystery as well.) This has the potential to get really confusing if one team manages to capture both pylons, or a match develops in such a way that the teams "swap sides". 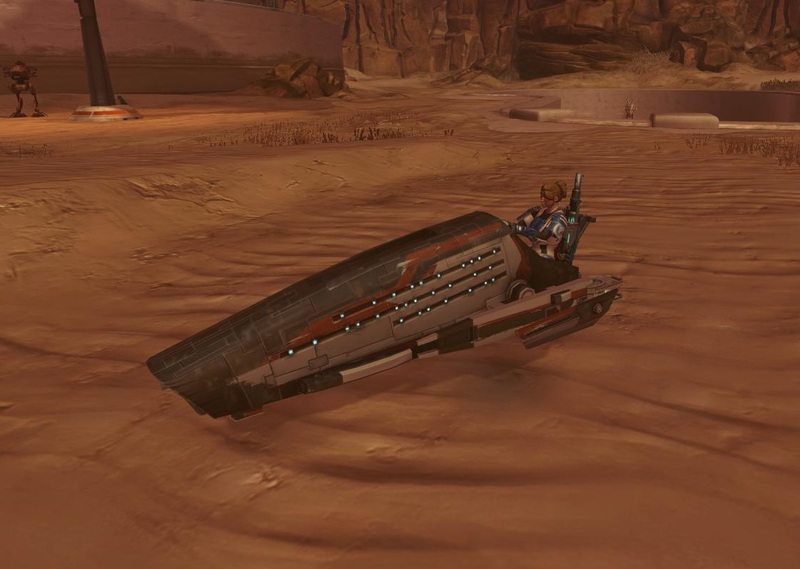 The only sort of common thread I see throughout is that PvPers in SWTOR apparently don't like looking at the map for their directions; they want their calls to make sense from the point of view of their character, as they look out on the world around them. For me this is kind of annoying because I find that the map is a much better way of keeping an eye on the big picture in terms of tactics, which is what I want to do when making calls. I think one reason I haven't been as upset about the news of no new flashpoints or operations coming for another year or so as others is that I've also been seeing this announcement as an opportunity. I recently looked back at some older posts from when I started this blog and was reminded that I didn't even want to raid when I initially started playing SWTOR. And while I do love it now, there are still a lot of other things that I enjoy doing in the game. The last year has driven home the point to me of just how time-consuming raiding can feel when your free time is limited, and I can definitely understand now why many people feel the need to drop that part of the hobby when work or family commitments "take over". On weekday raid nights I pretty much come home from work, make dinner, run ops (while eating for the first half hour of it or so), and then go almost straight to bed. This doesn't leave much time for other things. Raiding also has a way of making you prioritise it, along the lines of: "Well, actually I kind of feel like doing something else tonight, but I'm signed up and seven other people depend on me to get this run going." I think that raids becoming less interesting for a long-time player like me for a while, as Bioware retunes them with an eye on new and returning players, could therefore be an opportunity to devote some extra time to other parts of the game that I've been neglecting - such as PvP. I've been doing the occasional match on lowbie characters of course, and just after 3.0 I spent a bit of time working on getting the basic Exhumed sets for my Commando main, my Sage and my Scoundrel. That surge of interest didn't last long however (as grinding for ranked commendations without actually doing ranked is just sooo slooow), and to this day, my main is only valor rank 94 - after hitting Warlord rank back in October 2013! The upcoming patch 3.3 will be a great opportunity to get back into the fray, what with the massive reduction in gear costs and the removal of ranked warzone commendations. Full Dark Reaver sets for all the alts! The already increased warzone commendation cap of two hundred thousand will also provide an incentive to keep going after you've got all your gear, in order to save up for the next tier. To be honest I'm not sure if Bioware fully thought this through... but then again, maybe not letting people save up in advance is actually an outdated concept and not as beneficial as we used to think? If gearing up is really quick anyway, any imbalance created by people being able to buy their full new set on day one is bound to not last very long. Also, there's that PvP stronghold decoration vendor... I did a bit of maths and if I wanted to buy all the currently available decorations and add their maximum number to my stronghold ("Why would you even want fifty of the Makeb Pergola, you can't actually place that many!" you might say... "Because I want them," I reply), that would require over five hundred thousand warzone comms! Talk about a long term goal! Of course, I could also change my mind at any point and start selling them instead - as I found out on the Progenitor, selling stronghold decorations is actually quite profitable considering the small amount of time that is needed to earn enough comms to buy a single item. I can see this keeping me busy for a little while. I apologise for the radio silence on here for the past two weeks. Work has been very busy and then last week I went off on a week-long holiday with no internet connection - which was kind of nice in its own way, but I'm nonetheless glad to be back! - They currently don't seem to have any plans for new level 65 flashpoints and operations (that they are willing to reveal). - All levelling flashpoints will now feature level scaling and therefore be available to a wider range of levels. The ones that are important to the story will receive the solo mode treatement, while the others will become role-neutral tacticals. - Hardmode versions of most flashpoints will be available from level 50-65. - All existing operations will be available from 50-65 as well, with updated hardmodes and, in some cases, nightmare modes. - Some stuff about how all of this will work in terms of loot. We felt it was important to first address some of the issues with our Elder Game before moving on to new content. These changes will allow us to be more flexible with how we release new content, as the content no longer needs to be tied to a new gear tier or level cap increase. Rav takes him to task for this, as she feels that this is just an excuse and the real reason is that Bioware simply had no resources left for group content after focusing so heavily on the single player story for KotFE. While I believe that she has a point, there's usually some core of truth to any excuse like this (based on my experience anyway), and I can absolutely believe that Bioware wanted to revamp the way their group content works before adding more. And if that's the case, it's at least a sign that they still care about this part of the game and genuinely want to add to it in the long run. From a technical point of view, most of the changes sound good to me. 2) I don't care how many times I've done it, Eternity Vault is still my favourite operation and I'm totally looking forward to seeing it scaled up to level 65, never mind the potential downsides. The changes to flashpoints make a lot of sense. I suppose I'm kind of old-fashioned in the way that I enjoy trinity-based gameplay and would like for people to learn how to handle it while levelling up. But realistically speaking, this hasn't been working so well for a while from what I hear. Personally I don't recall ever having a problem, since most of the alts I levelled more recently were either tanks or healers and always got into groups very quickly. Dps queue times have however been problematic from what I've read, especially on servers which are less populated than The Red Eclipse. The recent focus on speeding up levelling via the class story has also greatly reduced the incentives (and available time!) for people to queue for a levelling flashpoint. Making all those flashpoints role-neutral and allowing them to scale with level will make them a lot more attractive for the average leveller. Most of all, it means that levellers won't be limited to Kuat Drive Yards for a fast queue pop anymore. The stories of these flashpoints are also self-contained enough that it's not too much of a stretch to insert them at any point in the levelling experience. 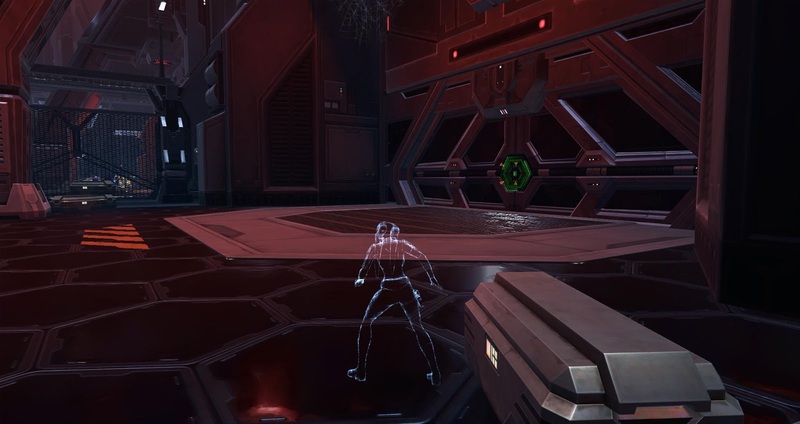 As someone who generally enjoys doing flashpoints while levelling, I won't have to go "damn, I'm about to outlevel Mandalorian Raiders, I better queue for it now" anymore - especially during the early levels this can happen quite frequently. At the same time you'll have a wider variety of content to choose from at the higher levels, when it feels like levelling as a whole is slowing down. The only risk I see here is that of the scaling potentially being done badly - my recent adventures in Neverwinter taught me that badly done level scaling is worse than having none at all. 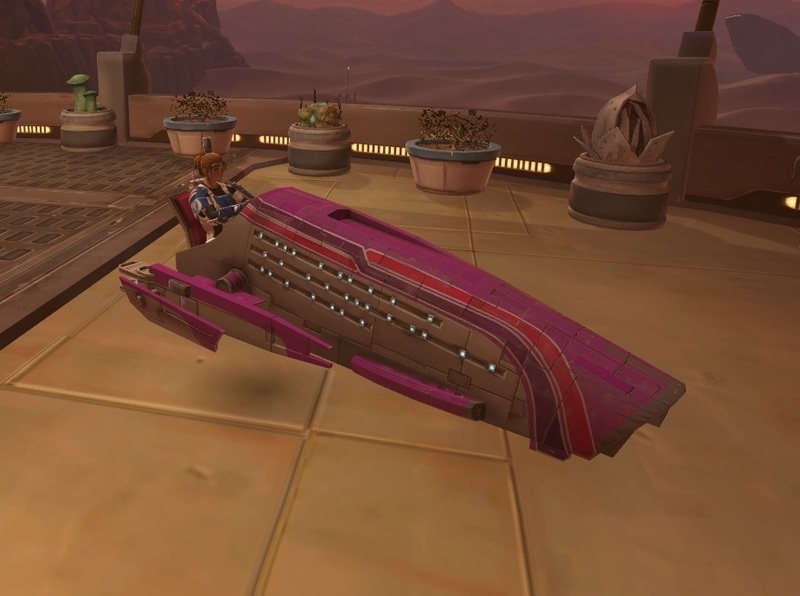 However, as much as PvPers like to rail against the bolster system sometimes, it has held up well so far and I don't see any reason to assume that Bioware will make a mess of applying it in those flashpoints. The idea of having a large number of flashpoints and operations available to play at the new level cap is a welcome one in many ways, because it means that we'll have more variety than ever when it comes to choosing which content to tackle in order to progress our characters. I've written about how my guild has mostly given up on trying to kill the hardmode bosses in Ravagers and Temple of Sacrifice that are still standing in our way and has instead been going back to old operations that don't offer us anything except a couple of achievements. With the new endgame as described in George's blog post, this won't be as much of an issue anymore because you will have a lot more choices to progress. Of course, the problem for us day one veterans is that we've already been there and done all that. Personally I feel this puts me in a tricky spot because to a certain extent I'm very much in favour of re-purposing or "recycling" content that isn't seeing much use. (I used to find Blizzard's long tradition of using every new expansion to discard everything that came before pretty frustrating.) At the same time I realise that this method is not without its problems. I remember being quite annoyed by my group wiping on Operator in TfB again when the operation was scaled up from 50 to 55 (though my guild's internal issues at the time certainly didn't help). When you were previously able to beat the content easily, suddenly finding it difficult again makes your character feel weak, which is not very fun. And of course there is the matter of repetition - how many times do we really want to rerun Karagga's Palace when we've already done it so many times before? I'm willing to give it a try and see how it goes. Running old operations with a guild group is fun now, there's no reason to assume that we won't be able to squeeze some more life out of that content when it's scaled up. I'll continue to wait for more updates.